CCP Technologies Limited (ASX:CT1) (“CCP” or the “Company”) announces its Patent 2015299743: Wireless monitoring system – has been granted in Australia. This patent underpins CCP’s novel approach to the capture, communication and interpretation of critical control point monitoring data. 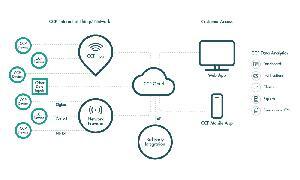 The patent describes how CCP’s Smart Tags manage a variety of functional states based on inputs from sensors and other devices to enable the most efficient means of data communications. The output from these functional states includes tags operating as independent communication devices which can pass data directly to a cloud platform or to a computing device such as a smart phone, or to receive and manage data from other smart tags. This creates network flexibility, which in turn, enhances user access and solution reliability. For this reason, globally recognised companies are now partnering with CCP to take advantage of new communication and platform technologies. 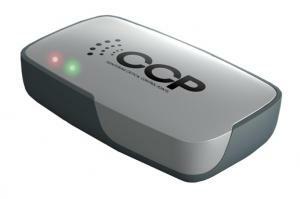 By way of example, when monitoring the shipment of perishable food within a supply chain, CCP Smart Tags can be deployed to continuously report data (such as current temperature, humidity, GPS location) directly to a Cloud Platform, or to any (approved) Smart Device when the tag is ‘tapped’. Way-points in the supply chain can be defined by either method and the data can then be validated at each change of custody. This capability is foundational to CCP’s business intelligence services which include blockchain validation, shelf-life prediction and energy efficiency and refrigeration performance. The Company’s first target market is the food industry, where food safety regulation, energy savings and waste reduction drives adoption. The company has also announced its energy monitoring solution for release in 2018.